A learning strategy that combines the personalized attention of traditional learning methods with the flexibility of digital methods can be termed as a blended learning approach. Blended instruction can result in high levels of learner achievement than purely face-to-face or online courses. A sales job is not an easy one. Sales personnel need to be master jugglers and do multiple things at the same time to be successful in their jobs. They need to keep an eye on the targets, aggressively source new businesses, manage reports and engage in high-quality customer interactions. All in all, sales people need to talk a lot of sense to various people throughout their days. In order to talk sense, they should know product and market information like the back of their hands. For sales employees to perform well, they need to be trained well. But, as sales personnel are constantly on their feet, imparting effective training to them is an increasingly difficult task. Sales employees can be provided with digital training material well before the classroom training can begin. The valuable time of employees devoted to classrooms can be utilized to build on top of the knowledge gained through digital material. This dually anchors the knowledge and also gives employees practical insights on how to utilize it. Employees can clear out any doubts that might have come up while doing the digital course. This makes the training timeless and its impact, more. While on the field, sales employees are on their own. All the classroom training programs and e-learning courses are sweated out of a nervous sales person, waiting to meet a big client. At a time like this, mobile phones can be used to provide performance support or just-in-time information. These short mobile courses provide a quick revision of a larger classroom or e-learning course. It gives learners need-to-know information presented in an easy to read and absorb manner. Performance support courses can ensure that your sale rep is always factually correct about all the products under their scope. It also increases knowledge recollection, greatly increasing the chances of concluding a sale. Because of the inclusion of digital learning methods in a blended learning approach, courses can be updated quickly as compared to traditional learning methods. In today’s fast-changing world, products can get outdated as quickly as they are introduced in the market. New versions and modules of existing products can also appear almost instantly, further straining the traditional learning approach. Since digital resources use a centralized Learning Management System to manage content, they can be effortlessly updated with the click of a button. This way your entire global sales force is synchronized, increasing the chances of a unified experience. In the classroom, learners can enact sales-scenarios using role-playing games. They can have peer discussions to hatch out sales-strategy and develop opinions about competitors. Using e-learning courses, learners can grasp information quickly by attractive multimedia like video, audio, animation and infographics. 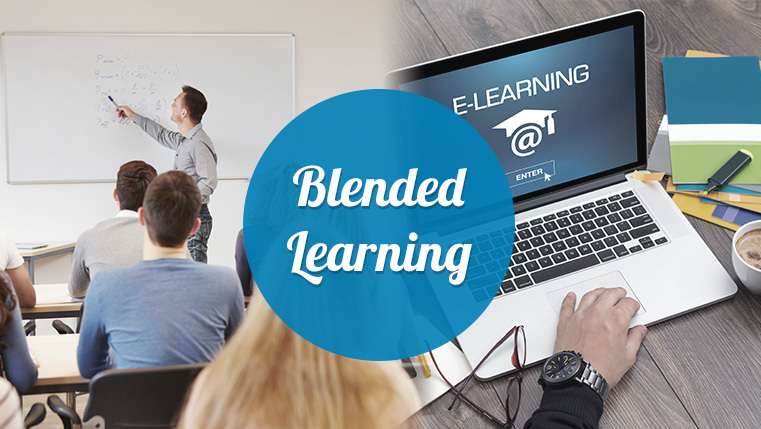 A blended learning approach gives the learner the best of two very different mediums of gaining knowledge. By carefully analyzing your requirements and using tested instructional design strategies, blended learning can turn out to be the perfect approach to impart sales training. A correct blend of digital and traditional learning methodologies can help you meet most of the challenges faced in training sales personnel. Blended learning approach can ready your sales force, new or old, for the challenges of the harsh market. It can not only increase knowledge retention, but also provide just-in-time bites of information, giving employees the added edge required while making a sale. 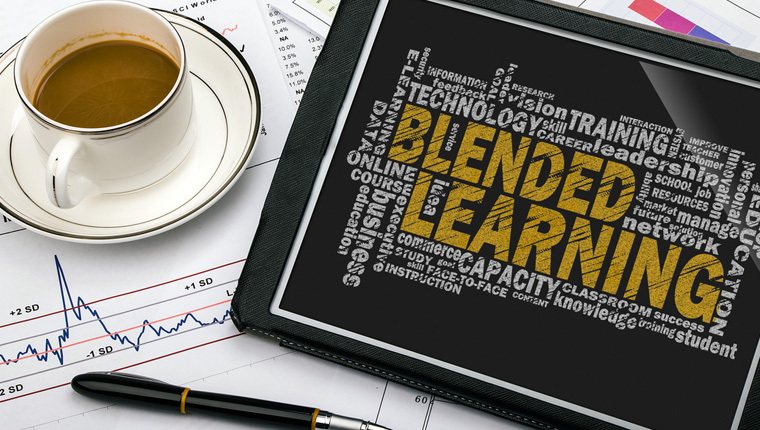 What Makes for Successful Blended Learning?